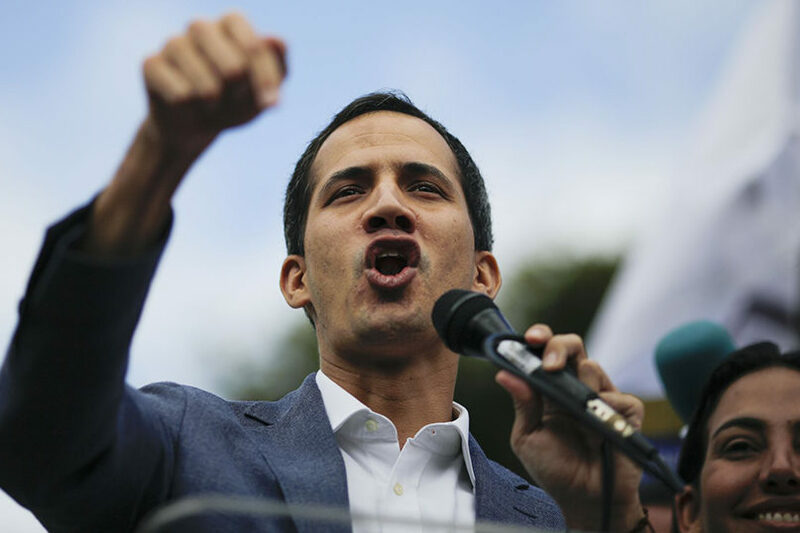 (JTA) – Israel is recognizing Venezuelan opposition leader Juan Guaido as the leader of the South American country in turmoil. Israeli Prime Minister Benjamin Netanyahu on Sunday, Jan. 27, announced the recognition of the new leadership in Venezuela, joining the United States, Canada and most Latin American and European countries. Guaido, the president of the National Assembly of Venezuela, on Jan. 23 declared himself the country’s interim president and called on President Nicolás Maduro to order new elections within eight days. Guaido, the United States, the European Union and other world leaders maintain that Maduro’s re-election last year was fraudulent. The country’s military remains loyal to Maduro, however. In 2006, the Venezuelan government downgraded its relations with Israel in the wake of Israel’s war with Hezbollah. The late president Hugo Chavez recalled his ambassador from Tel Aviv after criticizing Israel for employing “Hitler’s methods” against Lebanese civilians. Chavez completely broke diplomatic ties with Israel over the 2009 Operation Cast Lead in Gaza.